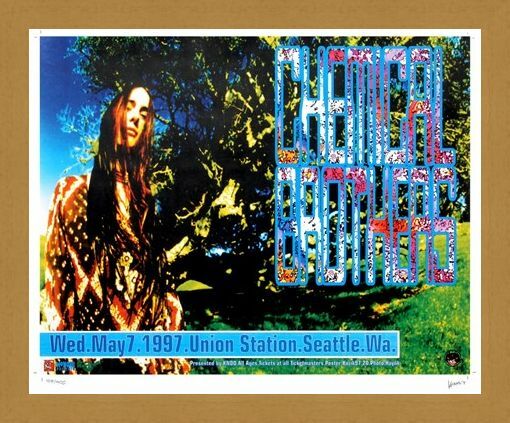 Limited Edition Print: The Chemical Brothers are one of the biggest electronica bands around and this eye catching limited edition print dates back to their earlier music when they were touring in 1997. 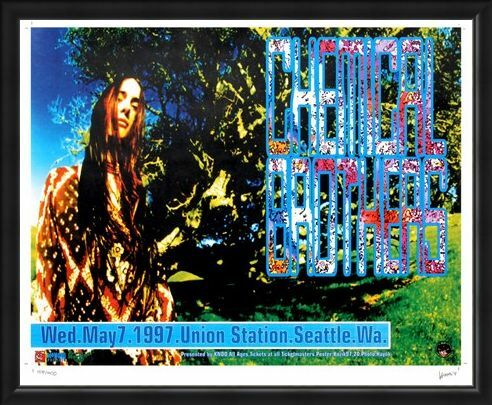 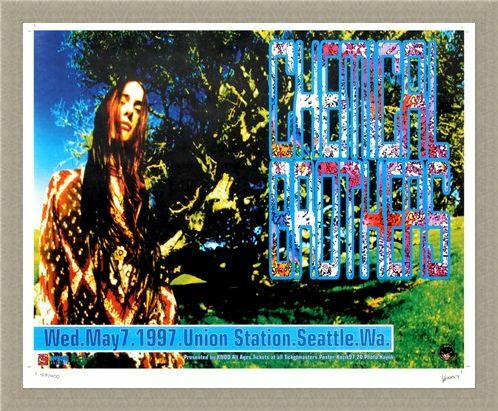 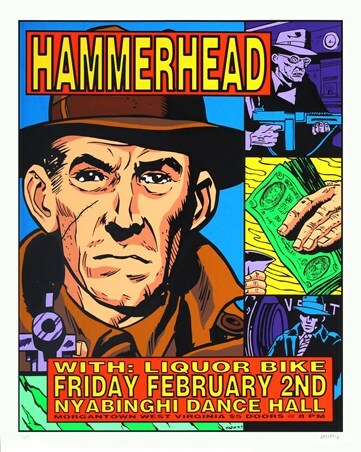 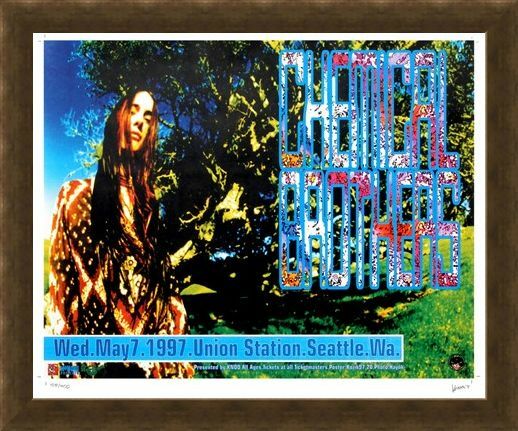 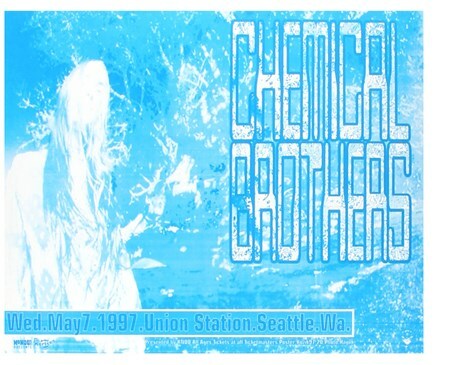 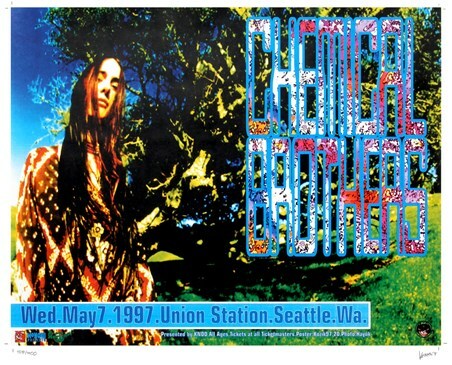 This advertising art poster was created by Frank Kozik, graphic artist and record label owner and it features the Chemical Brothers gig at the Union Station in Seattle in May 1997. 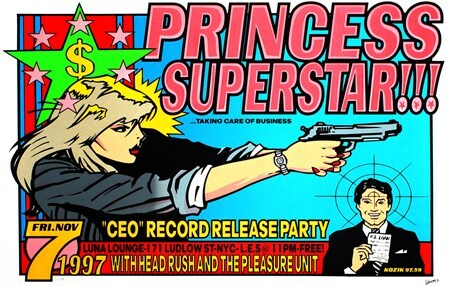 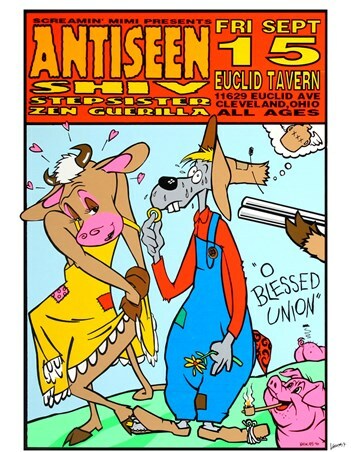 If you are a music lover then this print will make a stunning addition to your collection as it is hand signed and numbered by Frank Kozik and it is one of only 200 screen prints even produced. 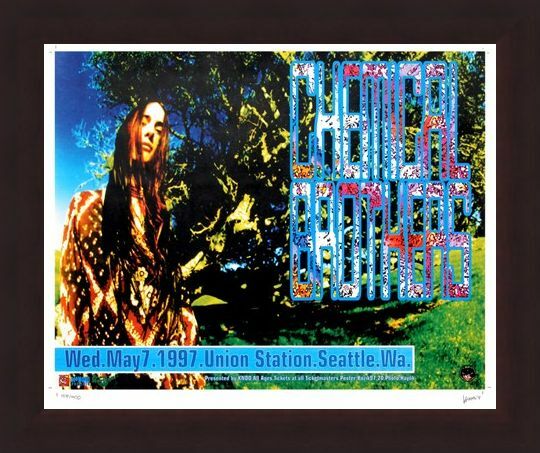 There is also a blue watermark on the back of the same image which appears on the front so it makes for a really unique piece of artwork for your home. High quality, framed Chemical Brothers, Frank Kozik limited edition print with a bespoke frame by our custom framing service.